We are instrumental in trading, supplying and exporting Nasal Sprays that are widely demanded by several individuals across the globe. Prescribed by number of doctors, these drops are formulated using quality ingredients, at our vendors end. We also stringently check these drops on different parameters to ensure zero impurity. 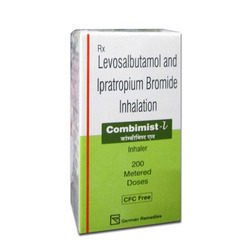 Our customers can avail from us Combimist L Inhalers that is available in various size of packs at most competitive prices. All the offered medicines are procured from the authorized and trusted vendors of the market, who make these using quality ingredients. We also stringently check all the offered medicines on certain well-define parameters to ensure zero impurity. 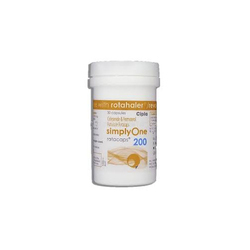 We are one of the leading organizations, indulge in trading, supplying and exporting Simplyone 200 Rotacap. Sourced from the reliable and certified vendors of the market, all the medicines are formulated using quality ingredients and latest technology. We also have a team of packaging experts, which packs these using quality materials. We are listed at the apex amidst the list of reckoned traders and exporters of Seroflo 125 Autohalers. An autohaler, this drug is advised for the treatment of constriction of the airways. Also, known for relieving the symptoms of coughing, wheezing and shortness of breath, this drug possesses no better substitute in the entire market. 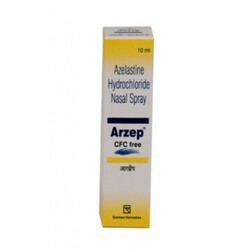 We are an instrumental organization, engaged in trading, supplying and exporting Arzep Nasal Sprays. All the medicines offered by us are used to treat fever and symptoms that are caused by seasonal allergens. These medicines are available in various size of packs at most competitive prices to fulfill the demands and needs of customers.